Under the 2015 law, a fourth DUI conviction in a lifetime is a felony conviction and punishable by up to six years imprisonment; there is no mandatory minimum sentence, however. 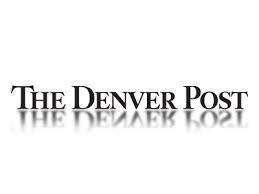 But a review of 316 felony DUI cases by a Denver Post writer found that judges are very inconsistent in applying the sentences. In fact, because the law gives judges more discretion in sentencing, some DUI offenders, who previously would have served at least a 60-day jail sentence for three or more convictions, are now getting away without any jail time at all. Of the 316 drivers convicted of felony DUI, 25 got off with no jail time at all, while 30 percent received prison sentences and 48 percent received time in jail. But 22 of those sentences involved time in halfway houses, work-release programs, probation or sometimes home detention.